This company is an online retailer of prescription spectacles. 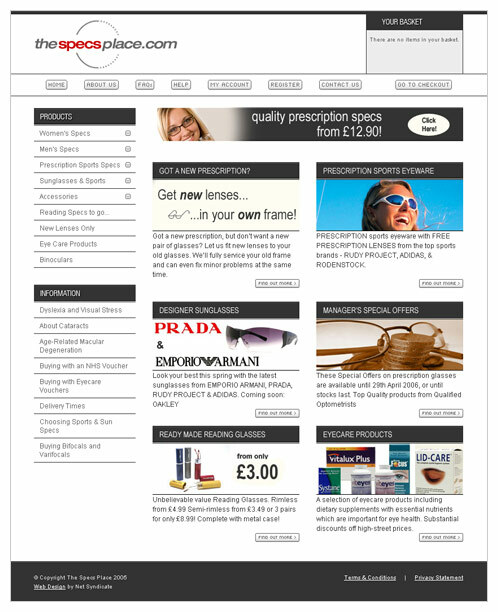 They required a site which would allow users to shop for new frames online and then enter their prescription details so that the correct lenses can be added to their order. The site recuperated it's costs within the first 3 months of trading.